Vanessa de França is a farmer and activist from São Pedro, one of 88 quilombos, rural black communities descended from fugitive slaves, that call the Atlantic forest of São Paulo state and neighboring Paraná their home. 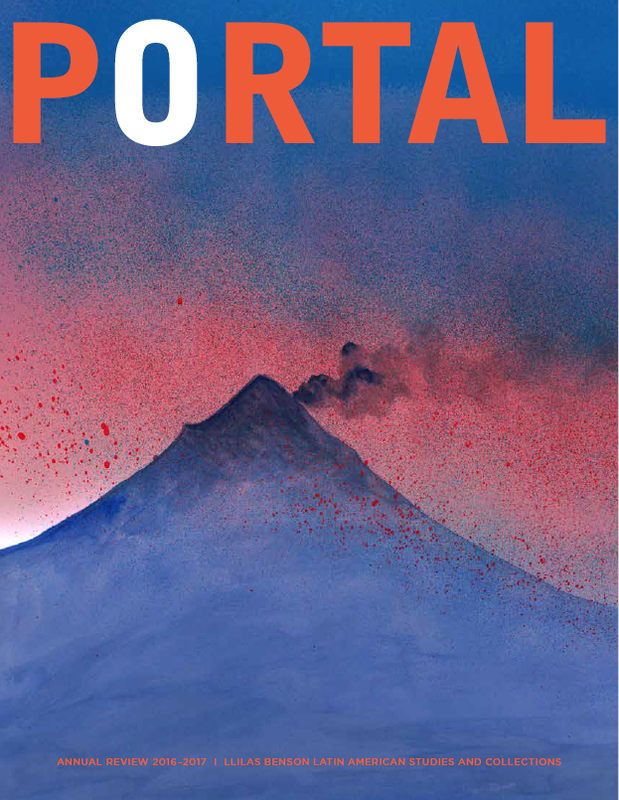 Two hundred years ago, de França’s ancestors escaped the gold mines and rice plantations that dotted the landscape of the Ribeira Valley, joining scores of maroon communities of fugitive slaves throughout the Americas. 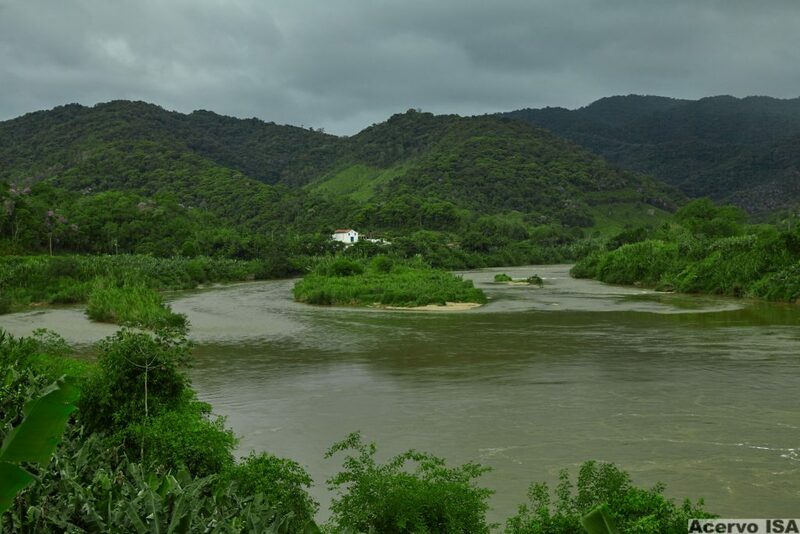 Runaways survived, in part, by planting rice, beans, corn, cassava, bananas, and other staple crops in thick jungles bathed by the mighty Ribeira de Iguape River. Their garden plots, known in Portuguese as roças, were not only sources of subsistence and income; rather, runaway slaves like de França’s ancestors viewed access to roças as central to the very meaning of freedom: the freedom to plant what they wanted, where they wanted, and how they wanted. That dream is in danger. In recent decades, the descendants of quilombos have confronted an onslaught of government-sponsored projects to develop the Ribeira Valley, a region that guards the last remnants of the Atlantic Rainforest in Brazil’s most heavily industrialized state. The intrusion of cattle ranchers, mining companies, and forest rangers has led to violent clashes over land and natural resources that persist to this day. In 1982, Carlitos da Silva, a community organizer from São Pedro, was assassinated after standing up to a local rancher. The tragedy became a rallying cry. The people of São Pedro, supported by the progressive Catholic Church, researchers, and nongovernmental organizations, pressed for the enforcement of Article 68, a 1988 constitutional provision that guaranteed territorial rights for remanescentes de quilombos (quilombo-descendants) on the centenary of slavery’s abolition in Brazil. Although São Pedro and several neighboring communities obtained legal recognition and collective land titles from the state government of São Paulo in 2001, quilombolas (quilombo residents) throughout the Ribeira Valley still face threats to their existence, this time from the enactment of environmental restrictions on subsistence farming that have curbed access to traditional garden plots. 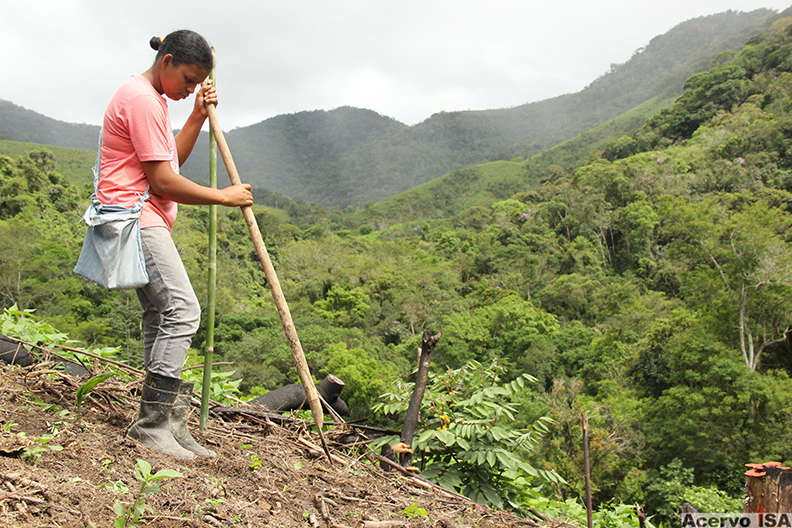 The quilombola farmer Daiane da Silva Santos plants beans with the help of a saraquá. Quilombo de Nhunguara. Photo: Frederico Viegas/ISA. De França traveled to Austin, Texas, in February 2017 to participate in the annual Lozano Long Conference, titled this year “Revoluciones Alimentarias: New Perspectives on the Contemporary Food System in Latin America.” She was joined by Frederico Viegas de Freitas Silva of the Instituto Socioambiental (Socio-Environmental Institute, ISA) and more than twenty researchers, activists, and artists from across the Americas. They addressed opportunities and obstacles to transforming a global food system that is making people sick, destroying the environment, and eroding the rights of rural workers and indigenous and Afro-descendant communities, in particular. Although panelists specialized in a range of disciplines—agro-ecology, public health, law, sociology, and history—they shared a commitment to advancing sustainable farming, greater food self-sufficiency, and equitable nutritional policies in Latin America. In a region where the agricultural sector has historically favored commodity exports at the expense of producing nutritious foods for local communities, de França’s presentation offered Latin America and the world an alternative. For the past 300 years, maroons and their descendants have developed an alternative food system, the sistema agrícola quilombola, which is based on the cultivation of subsistence crops in tropical forests and the practice of low-impact farming. Their system employs traditional methods of crop rotation and slash-and-burn farming. 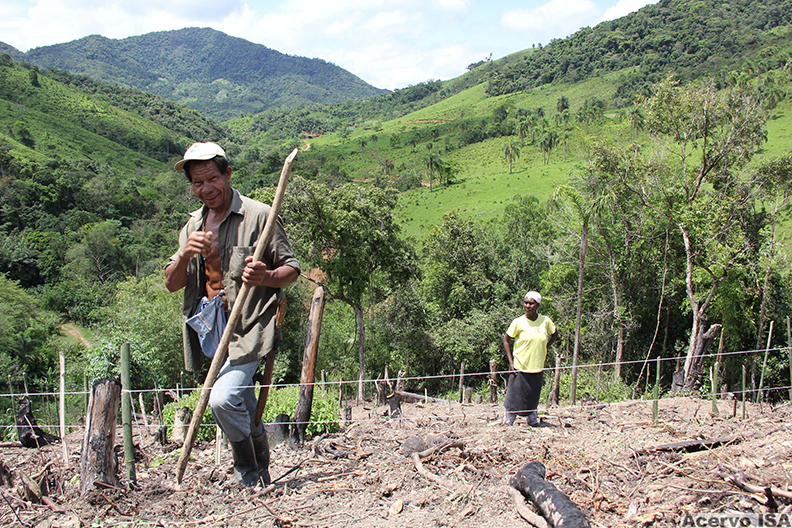 Following the conclusion of the rainy season, usually in the month of June, farmers clear between 5 and 7 hectares of secondary vegetation with machetes before setting the field ablaze. The ashes of trees, vines, and shrubs release vital nutrients that fertilize the tropical soils upon which quilombola farmers cultivate their roças. A farmer abandons her or his roça after two harvests, thus allowing the forest to regenerate. She or he will then clear another field of secondary vegetation to plant a new roça. After several years, the farmer will return to the site of the original roça to “recycle” the land that was left fallow, beginning the agricultural cycle anew. In the distance, the church at Quilombo Ivaporunduva. In the foreground is the Ribeira do Iguape River. Photo: Luiz Cunha, courtesy ISA. The sistema agrícola quilombola creates innumerable socioeconomic, nutritional, and agro-ecological benefits. For starters, the system provides a sustainable model of agricultural production and consumption in a region beset by inequality and where access to markets for nutritious food remains precarious. The 88 quilombo communities of the Ribeira Valley subsist largely from the fruits of their own gardens. Through partnerships with NGOs like the São Paulo–based Instituto Socioambiental, maroon-descendant farmers have also found reliable markets for their agricultural products and artisan crafts. Quilombolas have never used fertilizers or herbicides; all resources necessary for planting roças, such as sunlight, water, and nutrient-rich soils, are found in abundance in the Atlantic forest. Moreover, shifting cultivation and slash-and-burn farming cause minimal harm to the natural environment. In stark contrast to cattle ranching, banana farming, mining, and other extractive industries that dominate the Ribeira Valley, the quilombo system has not contributed to deforestation, the erosion of tropical soils, warming temperatures, or biomagnification, a concentration of toxins in certain organisms due to their consumption of other organisms that contain toxins. In fact, new research conducted by Alexandre Ribeiro Filho at the Universidade de São Paulo confirms that the use of fire for subsistence farming promotes healthier forests by removing dominant and invasive species of plants. Quilombola farmers act as “agro-biodiversity agents,” planting 53 different species and 166 ethno-varieties of staple crops. Despite these positive benefits, the sistema agrícola quilombola is at risk of extinction. Beginning in the 1980s, the Brazilian government embraced conservation in the Ribeira Valley to combat deforestation and promote ecotourism. The creation of state parks like the Upper Ribeira Valley Touristic State Park (PETAR) and Intervales States Park encroached on the territories of dozens of quilombos and small farming communities that depend on the Atlantic forest for their survival. Forest rangers enforced legislation like the Atlantic Forest Decree (1993) and Federal Decree 28.848 (1988), which prohibited subsistence farming in secondary forests, forcing many local farmers to engage in the environmentally harmful practice of extracting peach palms (palmito juçara) for income, an activity that necessitates the felling of an entire palm tree. Instead of protecting rainforests from human intervention, the prohibitions have actually contributed to a dramatic reduction in food security and agro-biodiversity in one of the planet’s most vulnerable tropical biomes. The results for small farmers and traditional peoples—indigenous communities, quilombolas, and caiçaras (mixed-race fishermen)—have been devastating. Malnutrition has skyrocketed as poor communities depend on local markets for food. Many quilombolas incur fines and prison time for planting their roças. José Rodrigues Almeida, known as Jucão, and his wife, Aparecida Ursulino, plant corn and beans on the portion of land cultivated by their family in Quilombo de Nhunguara. Photo: Frederico Viegas/ISA. Unable to support themselves, many quilombolas, especially young people, have abandoned the Ribeira Valley in search of work in São Paulo, Curitiba, and other cities. Even the elders have contemplated leaving their ancestral lands for the city. Antonio Morato, a farmer from Quilombo São Pedro in his mid-sixties, explained, “We lost everything. This is all because of the restrictions on farming, you understand? We can’t do what we used to do anymore. The forest rangers don’t want us to plant our crops anymore. If we can’t do that, I’m going to have to leave. This has been such a battle for us. With our gardens, we won’t have anything left to do here anymore.” Even worse, the major culprits of deforestation in the Ribeira Valley—mining companies, ranches, and commercial farmers—continue their harmful practices with impunity. Quilombolas are fighting back. As a young girl, Vanessa de França accompanied her mother and father to collect the rice harvest. Now, at thirty, she leads a young generation of quilombola activists and farmers who are mobilizing to protect traditional seeds and use rights to forest resources. She serves as administrative coordinator of the Ribeira Valley Quilombola Agricultural Cooperative (Cooperaquivale), which provides healthy and nutritious foods grown from roças to schools, daycares, prisons, orphanages, and hospitals throughout São Paulo. 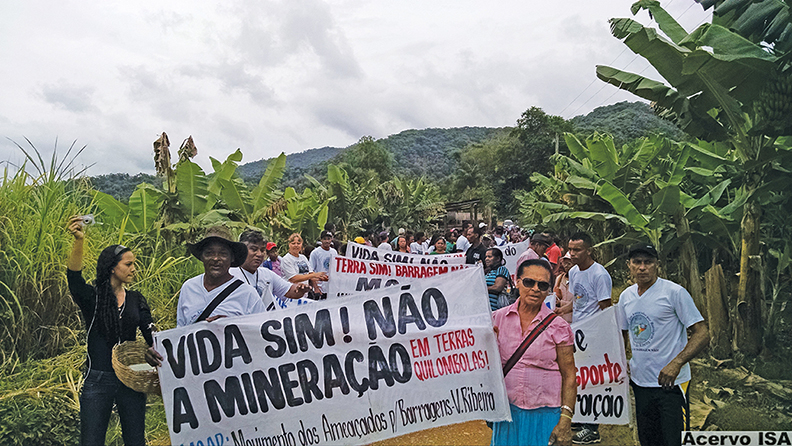 Protest organized by the quilombola communities of Ribeira Valley defending their lands against proposed invasive projects by mining and hydroelectric companies. Quilombo de Ivaporunduva. Photo: Frederico Viegas/ISA. The cooperative is bolstered by allies: the ISA and the Equipe de Articulação e Assessoria ás Comunidades Negras do Vale do Ribeira (Advisory Team for Black Communities of the Ribeira Valley, EAACONE). ISA has partnered with communities to organize the Quilombola Traditional Seeds and Seedlings Exchange Fair, a farmer’s market that takes place in the heartland of the Ribeira Valley. Each year, quilombola farmers and fishermen gather in the town of Eldorado to exchange seeds, roots, crops, livestock, fish, and oysters to promote food sovereignty and defend against cultural loss stemming from restrictions on subsistence farming. ISA and local communities have also established a seed bank to preserve rare varieties previously thought to be lost. EAACONE has provided legal defense to quilombos for almost thirty years, helping to mobilize communities for land rights and leading the charge against the Tijuco Alto hydroelectric project and illegal mining. Despite this progress, communities need urgent support. Academic institutions like LLILAS Benson can make a difference in several ways. In a Brazilian political climate hostile to traditional peoples’ rights and sustainable farming, international conferences like Revoluciones Alimentarias provide a platform for activists like Vanessa de França to share their communities’ struggles with a global audience and to enlist new allies. De França hopes the Lozano Long Conference will lead to partnerships and academic exchanges between quilombo communities and researchers at the University of Texas at Austin and elsewhere who are interested in issues like sustainable agriculture, Afro-descendant rights, and environmental protection. 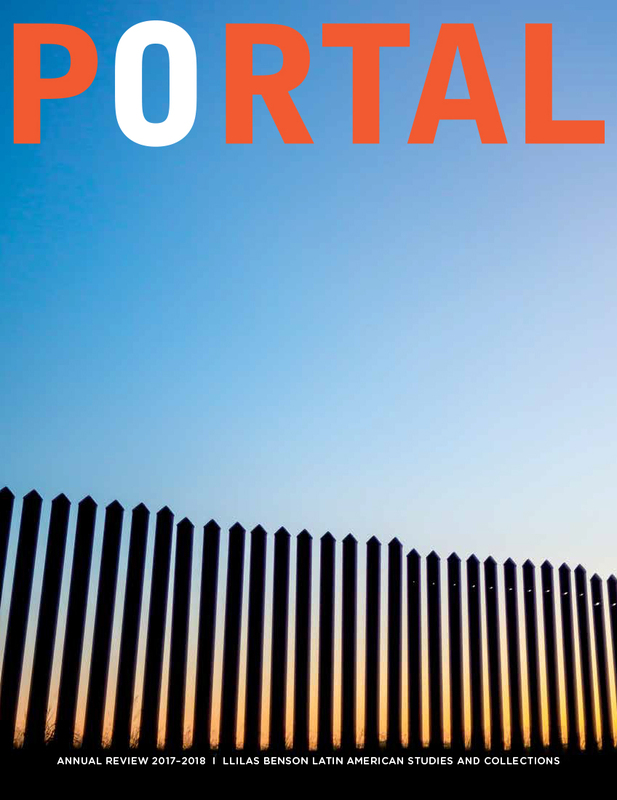 Beyond the power and potential of a conference lies the power of history, documentation, and the importance of the voice of a community. LLILAS Benson is pioneering archival relationships with organizations in Latin America to support the preservation of fragile documents of many kinds, including, specifically, documents from Afro-descendant groups and social groups threatened by human rights violations. ISA and EAACONE will be LLILAS Benson’s partners in an upcoming project, funded by a Mellon Foundation grant, to recuperate and digitize human rights documentation among quilombo communities. One of ISA and EAACONE’s primary goals is to assist quilombolas in establishing and curating their own community-based archives. This collaboration ensures that local activists like Vanessa de França will play leading roles in preserving the historical memory of the sistema agrícola quilombola, which is captured by written testimonies, oral histories, rare photographs, and film. Quilombo communities will invoke these archival materials to strengthen their legal claims to land, natural resources, and subsistence rights in the Atlantic forest. The author would like to thank the Reed Foundation’s Ruth Landes Memorial Fund for supporting his fieldwork in Brazil, which led to collaboration between LLILAS Benson, ISA, and EAACONE, and which made the 2017 Lozano Long Conference, Revoluciones Alimentarias, possible.